We look forward to seeing our Canadian friends a the show! Our 16oz Hot & Mild Giardiniera is now available at Jewel Osco! 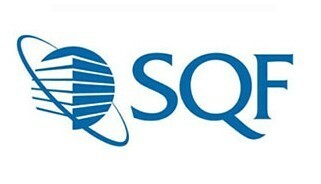 We are extremely proud to be Level 2 status with the Safe Quality Food (SQF) Institute. The SQF Institute is recognized worldwide by retailers and food service providers alike as one of the rigorous and credible food safety management systems. Our Level 2 status means that we hold a certified Hazard Analysis & Critical Control Points (HACCP) food safety plan that is benchmarked by the Global Food Safety Initiative (GFSI). 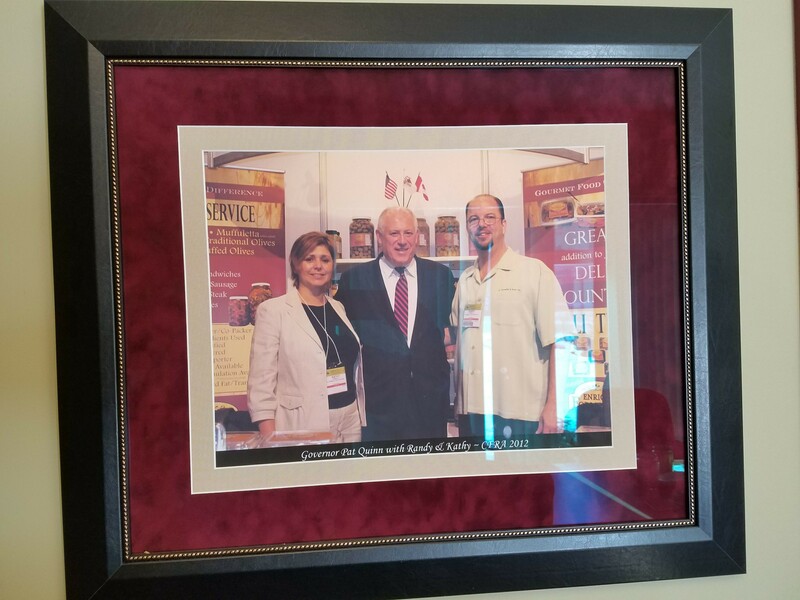 Illinois Exporter of the Year! Blackened chicken breast covered with Enrico Formella Muffuletta Salad, melted provolone cheese, shredded fresh basil and drizzled with balsamic vinegar, served on a fresh toasted roll. How Do YOU Use Giardiniera? 1. Pizza: Add it atop a slice or better yet, add it to a frozen pizza and let it bake right in! 2. Pasta: A few forks full on a plate of spaghetti provides a whole new taste sensation. 3. Baked Lasagna: Throw the giardiniera in with the pasta, rocotto, etc. and bake it in. 4. 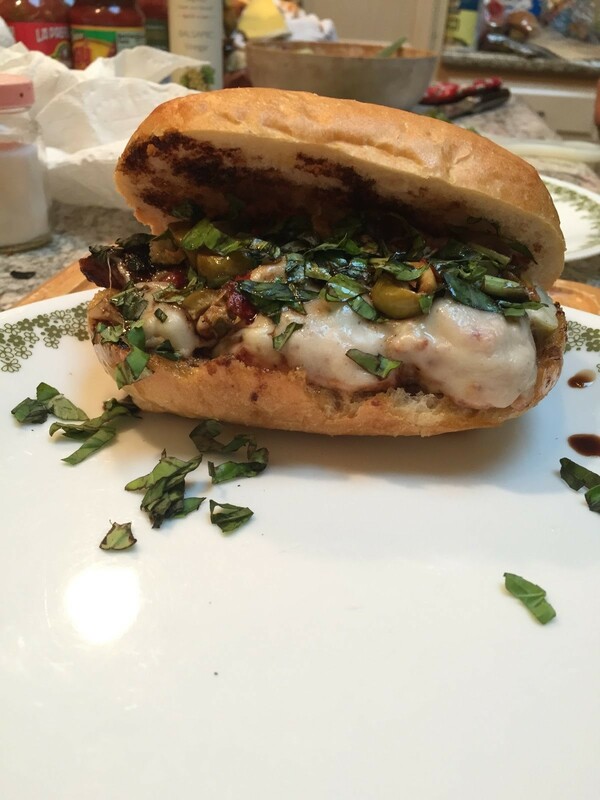 Italian Beef: Go ahead, be a Chicagoan! Spread it right across the top of the sandwich. 5. Meatball Sandwiches: Same as #4, spread across the top. 6. Scrambled Eggs: The ultimate eye opener... hot giardiniera mixed with scrambled eggs. 7. Pasta Salads: Have you every thought pasta salads were a little dull? Not anymore! 8. Omelets: Wow, giardiniera is sooo good in an omelet. Try it for yourself! 9. Bloody Mary: Since we're talking about eye openers... 10. Casseroles: Giardiniera... that perfect antidote for ho-hum tuna casseroles. We hereby declare Tuesday, August 28, to be Pizza Day, a day to celebrate all the magic (and marinara) of one of earth’s greatest foods. To be completely honest, Pizza Day was originally meant to be timed to the release of the pizza-themed romantic comedy Little Italy, starring Emma Roberts and Hayden Christensen; when we realized that Little Italy hits theaters this week only in Canada, we said, “Eh, let’s celebrate pizza in August anyway.” Who needs an excuse to honor pizza, right? ________________________________________ Look, Chicagoans don’t always have the greatest ideas. We come from people who decided that the best place to settle down was an endless, boring prairie which alternates between blazingly hot and so cold your eyeballs start to freeze. We keep electing straight-up criminals for governor. Perhaps most tragically, we foolishly tried to mold Jay Cutler into a professional football quarterback instead of recognizing his actual God-given talent (being a perfect reality star weirdo). We’re human. We make mistakes. Also, we have been chomping down the country’s most delicious condiment for over a century and the rest of America has failed to take a hint and follow our lead. Whenever people talk about Chicago cuisine, deep dish gets mentioned right up top, even though the city is resplendent with native culinary innovation. Chicago’s deep dish pizza gets a disproportionate amount of attention for how often it gets eaten by its city’s residents. Deep dish is not strictly for tourists, but the ordinary Friday night pizza order is far more likely to be a thin-crust pie sliced into squares as God intended. In addition to pepperoni and sausage, giardiniera (JAR-DIN-AIR-UH) is a standard-issue, much-beloved topping, heaped under the cheese and into the sauce. The mixture of gooey mozzarella and fragrant sauce is made sublime with the extra texture and tang of the fermented veggie medley. The great is elevated to the superb. Ask someone if they like giardiniera and you’re likely to get one of two responses. “Like it? I LOVE it!” they’ll say. Or they won’t know what you’re talking about, and might make a joke about how the word sounds like some kind of digestive disorder. “No one out here knows what giardiniera is,” Hank Tibensky, a Chicago transplant now living in New York and owner of Hank’s Juicy Beef, lamented. But giardiniera is no foul bowel malady. If you don’t know what I’m talking about, giardiniera is a blend of chopped vegetables (celery, peppers, carrots, cauliflower, and sometimes olives, although they are a controversial element) pickled in vinegar. You can order giardiniera on pretty much everything in the Chicagoland area, and from anywhere, even national chains like Subway. Zagat calls it “Chicago’s condiment,” but it’s also a full-blown obsession for many Chicagoans. “It’s good on pasta, it’s good on pizza, it’s really good on breakfast sandwiches,” Tibensky said. “And giardiniera with eggs? So good!” Just as Lebowski’s rug tied the room together, Chicago’s giardiniera is the linchpin of its daily meals—and the unsung hero of its famous pizzas. 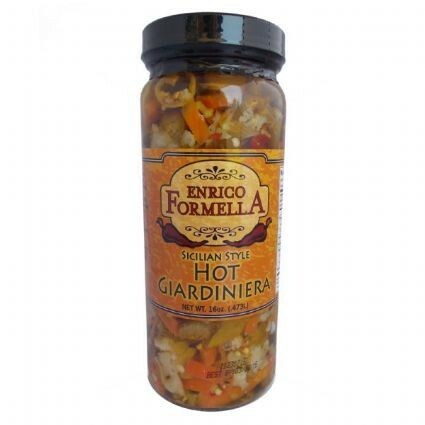 “This is a product that should be in the pantry of every house in America,” Randy Formella, who runs giardiniera company E. Formella & Sons, told me. In Italy and the Mediterranean, a similar dish by the same name is served as a vinegary antipasto, and it’s nothing special—as Chicago giardiniera makers are quick to point out. “The so-called giardiniera from Italy, Spain, Greece, and Turkey are packed in a sour vinegar brine,” Formella noted. “This is a completely different flavor profile than the oil-based recipes.” In most grocery stores in the United States, if you find giardiniera, it is likely to be this inferior type. “The giardiniera they have out here is all vinegar,” Tibensky said. “There’s no flavor to it!” In Chicago, this relish is marinated in a blend of oils, and frequently seasoned with sport peppers for added heat. The oils counteract the vinegar’s acidic zip. The result is the finest topping in the world, the ideal blend of spicy, smooth, and crunchy. It is an alchemical miracle, simultaneously decadent and healthy, wrought from the merging of Italian vegetable wisdom and Chicago’s dedication to making everything fatty. Yet it has only achieved mainstream popularity in northeastern Illinois. For advanced giardiniera eaters, even a mediocre frozen pizza can be doctored into greatness with giardiniera sprinkled generously on top. Chicago has a reputation for smothering its foods in unholy volumes of cheese, and it’s a fair rap. But in the name of truth and justice, Chicago should also be more widely known for smothering its foods in healthful and nutritious pickled vegetables, dammit. 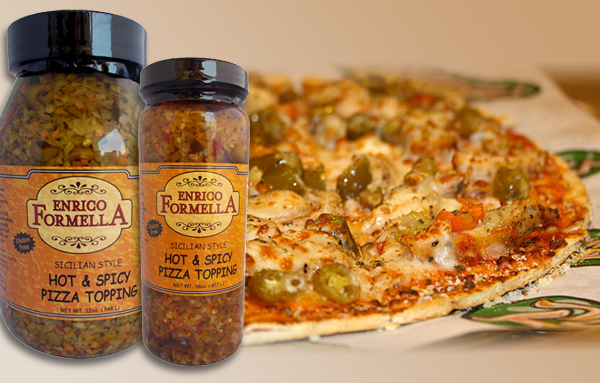 “Turning giardiniera into a nationally-beloved condiment is my goal,” Formella said. “Every day.” There’s no complete history of Chicago’s giardiniera, and no definitive origin story for the city’s love affair with it. Al’s Italian Beef, a sandwich shop on Chicago’s famed Taylor Street, opened in 1938 and has long sprinkled a generous helping of giardiniera on its juicy offerings. 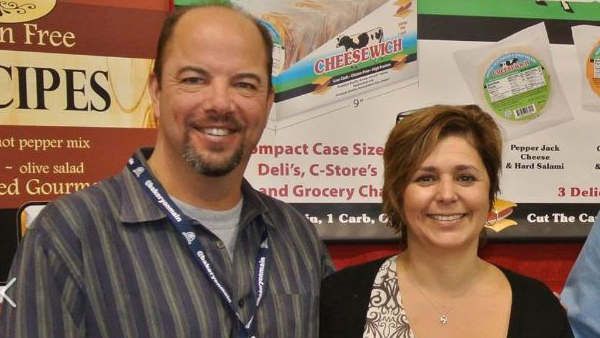 In 2011, owner Dave Howey attributed the mainstream (Chicago) success of giardiniera to beef operators in the city in an interview with CBS Chicago. However, the first wave of giardiniera love came earlier. “Though impossible to know the exact date, giardiniera undoubtedly appeared in Chicago along with the wave of Italian immigration that came to the city in the late 19th century,” Chicago Tribune reporter Nick Kindelsperger wrote in 2017. 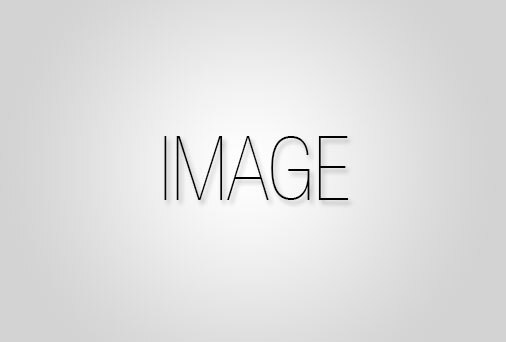 Most of the major giardiniera makers offer histories corroborating this theory. 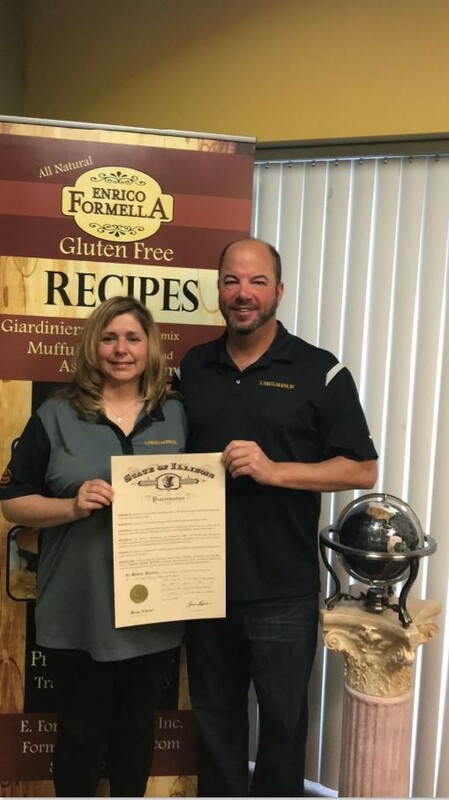 In the 1900s, for example, E. Formella & Sons started when Enrico Formella moved from Sicily to Chicago; along with his wife Rosina, he began selling giardiniera in Illinois. “We still pack the original recipe my grandfather created back in the early 1900’s,” Randy Formella said. 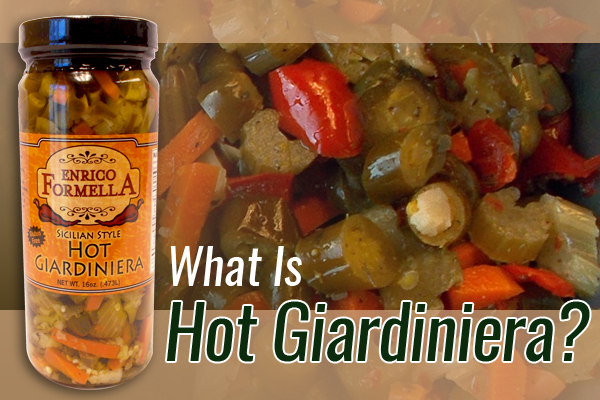 The business remains one of the major giardiniera makers in the US. While it is now simple to ship giardiniera all over the country—hungry Chicagoans living elsewhere can even get their fix via Amazon—it is still very much a regional dish. “I am not aware of anyone producing the Chicago-style giardiniera in oil outside of the Chicago area,” Formella told me. Mezzetta, a Bay Area-based Italian condiment and garnish company that has been around since 1935, does in fact product a Chicago-style giardiniera; it appears to be a rarity. A shame! A tragedy! A calamity! But heroes walk among those of us unfortunate enough to have left the Windy City, attempting to spread the giardiniera gospel. In Manhattan, Tibensky is sating midwestern cravings at Hank’s Juicy Beef, his Tribeca sandwich shop, which offers Chicago-style Italian beef sandwiches and, as is only appropriate, Chicago-style giardiniera. “I originally made it all myself,” he said. “Now I import a lot of the giardiniera from Chicago.” The unfamiliar topping has turned into a selling point. “We don’t give them an option. We’re just like, ‘Do you want the hot giardiniera or the mild giardiniera?’” Tibensky said. “Now, we have repeat customers coming in, asking if they can buy a pint of it.” (They do, indeed, now sell it in pints.) “We’re going through ten gallons a week now,” Tibensky said. On the other side of the country, in Palm Springs, California, a family of Chicago expats import giardiniera to sell at their Chicago-style pizza restaurant, Giuseppe’s. “We serve it with our beef sandwiches,” owner Sue Funkey said. “If someone asked for it as a pizza topping we would certainly do it.” Full disclosure: this isn’t just any family—it’s my own. My aunt Sue and her husband Joe Funkey are trying to bring exquisite pickled produce to the West Coast; spreading love for giardiniera is clearly at least partially genetic. On a national scale, sandwich chain Potbelly has been quietly conditioning Americans all over the country to eat giardiniera: it offers the topping for its sandwiches, although it uses the term “hot peppers” instead. “For us, it’s just a typical condiment,” Potbelly VP of culinary innovation Ryan LaRoche told me. The chain began in a furniture store in Chicago, and has always offered giardiniera as a topping on its sandwiches, in keeping with the local tradition. Originally, LaRoche said, Potbelly founder Peter Hastings was taking pre-pickled vegetables and then making the mixture in house. As the company grew throughout the mid-1990s, though, it outsourced its giardiniera, asking a local giardiniera maker to create a proprietary blend. And even though Potbelly is doing us a fine service by bringing giardiniera to the masses, by disguising it as “hot peppers,” it is avoiding the good, hard work of normalizing a quirky regional cuisine. There are some regional delicacies that face obvious challenges when it comes to widespread adoption. People who didn’t grow up slamming haggis in Scotland often find it difficult to accept that the correct ingredients for a savory pudding include sheep’s heart. While durian tastes creamy and sublime to people who grew up snacking on the tropical fruit, its pungent aroma rouses so much ire that it is sometimes banned from public spaces, like Singapore’s national transit system. I can say from personal experience that liverwurst is a delectable spread on rye bread, but its appeal is not always understood by people who didn’t grow up with at least one German parent. Some foods simply require acquired tastes. However, giardiniera has the capacity for a far larger following than it currently has. It’s gluten-free, low-carb, and vegan; it has a similar flavor profile to many hot sauces but offers a pleasing crunch and a serving of vegetables along with its kick. This summer, all of a sudden, it seemed like every third person in Brooklyn had developed a craving for an Aperol spritz. The Italian aperitif’s availability skyrocketed across the US; according to Nielsen, Aperol sales increased by 48 percent since the previous summer. It sort of made sense—the vibrant orange drink is highly Instagrammable, and its moderate alcohol content makes it ideal for day drinking sessions. But the Aperol spritz’s abrupt rise in American popularity wasn’t the result of an organic shift in taste. Campari, the company which produces Aperol, had heavily invested in U.S. marketing for the drink. “It plays into trends—Americans are starting to appreciate more bitter tastes and they want more drinks that are low in alcohol content,” Melanie Batchelor, the vice president of marketing for Campari America, told The New York Times this summer. Giardiniera doesn’t have a marketing team behind it—but if bitter, chemical-colored Aperol could capture American attention, surely a spicy, healthy, versatile garnish could generate similar buzz under the right circumstances. I firmly believe this is a problem that can be solved by education. Once people know what giardiniera is, they love it. They say progress comes in fits and starts. They say Rome wasn’t built in a day. I say that I’ve waited long enough for the rest of the country to get its head screwed on correctly and that giardiniera should be a widely available pizza topping throughout the nation. Giardiniera (jahr-dee-N’YEHR-ah) is one of those situations where even if you stumble through the pronunciation, it still comes out sounding really good, as in appetizing. Here’s another way you can master all those consonants wrapped in vowels. Just say “jar-dee-nearer” and it will be close enough. The giardiniera family can be quite interesting. If it appears as “alla giardiniera,” it implies “garden style,” or a dish made or served with chopped cooked or fresh vegetables. Some references to giardiniera call it a “relish,” which it is in a broad manner of speaking. And to take it one step further, a “pickled relish.” And “condiment” is another term associated with giardiniera. What’s in a name as long as it comes out delicious? If you walk into an Italian beef stand in Chicago and you ask for a beef sandwich “hot,” it will get dressed with a giardiniera that has been stoked with chopped vegetables — carrots, sport peppers, celery, cauliflower, jalapenos — all done up with herbs, olive oil and white vinegar. It is not uncommon for a giardiniera to be made in house, which means that the ingredients can vary widely. Crushed red pepper flakes might show up here but not there. Capers, as well, and ditto for chopped olives and red bell pepper. Vegetable oil often is used instead of olive oil. Soybean oil is used as well. And, yes, in some instances all three oils — olive, vegetable, soybean — have ended up in a giardiniera. It’s this kind of free-wheeling style that makes giardiniera so enticing and interesting. Giardiniera, whether it is made in house or purchased (and there are many good ones available in jars and cans), can be used in any number of ways: pizza, sandwiches, salads, antipasto. And if we take the sandwich category alone, there are many ways (subs, heros, grinders, muffaletta) to use a giardiniera to crank up the flavor engine. You can use the recipe below to make a fine giardiniera from scratch. On the other hand, if you want to jump start the process, simply purchase giardiniera from a supplier that is ready to go. Giardiniera in the jar comes in either a hot or mild version, which allows for taste (and heat) enhancement. All of this means there are no excuses for not adding a pizza giardiniera to your menu, or giving it a try as a daily pizza special. Or for adding a tasty giardiniera to one of your sandwiches (giardiniera will not replace an olive salad used in a muffaletta, but it comes very close). Also, it is interesting how well giardiniera works with a grilled fish sandwich. And recently I had a sandwich in which chopped portobello mushrooms were mixed with giardiniera. Served on an Italian roll with provolone, the sandwich had some real zip to it. Pizza Giardiniera The combination of giardiniera, Italian sausage, and provolone cheese makes this a must-try pizza. Sliced provolone goes over the crust to keep it from getting soggy from the oil in the giardiniera; then more provolone goes on top of the giardiniera. And that’s all you need to make this delicious pizza. As noted, you can adjust the heat of the giardiniera by adding more jalapenos or crushed red pepper flakes. Yield: One 12-inch pizza (Scale up in direct proportion) 1 12-inch pizza shell 7 slices provolone (or 5 ounces shredded) ½ cup giardiniera, excess oil drained ½ pound cooked sweet Italian sausage crumbles 5 slices provolone (or 3 ounces shredded) Lay the slices of provolone over crust, up to 1/2-inch of the crust edge Combine the drained giardiniera with the cooked sausage crumbles and spread this mixture evenly over the layer of cheese up to 1/2-inch of the crust edge. Lay the remaining 5 slices of provolone evenly over the sausage/giardiniera mixture. Bake the pizza until the top layer of cheese melts into the giardiniera and the cheese takes on brown speckles. There are countless variations to this pizza. You can use mozzarella instead of provolone, but I really like how the smoky characteristic of provolone works with the spiciness of the giardiniera. You can add chopped pepperoni to the sausage mixture. Also, you can add chopped fresh or canned plum tomatoes to the giardiniera just before spreading it on the pizza. If you want to make a vegetarian giardiniera pizza. Add other vegetables–chopped tomatoes, olives, onions, bell pepper–to the basic giardiniera and eliminate the sausage. A spoonful or two of giardiniera on a plate with salumi (cured meats) or as an addition to an antipasto platter is a nice touch. Giardiniera, as noted before, is an essential condiment for an Italian beef or Italian sausage sandwich.